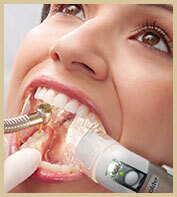 Dental technology, in Las Cruces NM, that includes lasers, oral cancer screening, digital imaging! We provide the very best dentistry for our patients, and part of that is using the latest dental advancements that allow us to perform very accurate work. We are very pleased to be among the first practices in our region to use 3-D cone beam CT digital imaging. 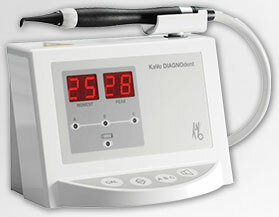 It is more accurate than an X-ray and makes dental work less time consuming and more exact. This is especially important for implants and oral surgery. Perhaps you have always had regular check-ups at six-month intervals as a preventive measure to keep your teeth cavity free. During one of those appointments, you were quite surprised when the dentist told you had a large cavity in a tooth. You wondered how a large cavity appeared in such a short amount of time. The cavity was there six months earlier, it just wasn't detected via X-rays or other means. We use the Laser Scanner at our practice, which lets us identify the very beginning of a cavity. This results in accurate diagnosing for proper treatment. We can prevent cavities from growing to a painful state and repair them with a small filling to keep more tooth structure intact. You will be pleased to know we use digital X-rays, which reduce radiation by 75% over traditional X-rays and require no time for developing the image. Only seconds after placing a digital sensor in your mouth, we can view the interior of your mouth on our computer screen. 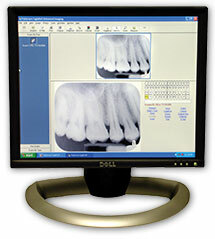 With panoramic digital imaging, just one shot displays both upper and lower teeth. With no chemicals used in the process, there is no pollution to the environment. With the use of an amazing intra-oral camera, you can see for yourself the condition of your teeth and understand what work needs to be done. This miniature video camera provides a close-up look at the interior of your mouth. Patients love how it lets them take part in deciding what work needs to be done, and you will too! Cosmetic imaging can show you your new smile before any work begins. It lets you feel confident that your dream smile will be the one you wear. It shows alterations in shaping gums, replacing missing teeth, whitening, and straightening. It's very exciting to see what we can do for you! We now use the Piezo Scaler™ to clean deposits of plaque and tartar from the surface of your teeth. It works well even in the inflamed pockets of gum disease. This ultrasonic scaler uses vibrational frequencies to remove unwanted build-up and does so much faster and with less discomfort than regular scaling instruments. To check your bite or occlusion, you probably have had to bite down on a piece of carbon paper. This tells the dentist how your teeth mesh together. If they do not come together as they should, often pain in the jaw, teeth, and surrounding muscles is the result. Other problems are bruxism (grinding of your teeth while sleeping), TMJ, and fractures in teeth and crowns. Our doctors are proud to be among the first dental practitioners in the country to bring you Tekscan™. This computerized bite analysis gives the most accurate information to align your bite as it needs to be. Re-alignment can become very complex, but with the use of Tekscan, your correct bite can be restored and pain and other related problems alleviated. It is a staggering statistic, but one American dies from oral cancer every hour! This statistic has not changed in almost 40 years, but with new technology, early screenings for this type of cancer have a 90% cure rate. 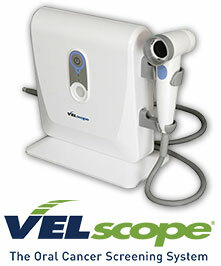 With the specially designed light of VELscope™, our doctors can identify any unusual tissue in the oral cavity. Receiving treatment in the earliest stages is very important. The exam is quick and painless and could literally save your life! Nothing beats an easier, more comfortable dental visit. If you have questions about the latest dental technology, give us a call today at (575) 522-1983.